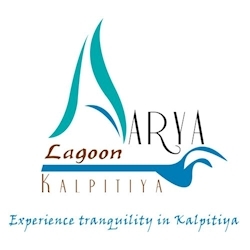 Aarya Lagoon Kalpitiya, embedded with the combination of warmth and tranquility, aspires to revive your senses by hauling you to a haven amidst a landscape of verdant, pastoral perfection. The ECO friendly structure, is an epitome of typical Sri Lankan habitat with the blend of ‘pol-athu’ (dried coconut leaves) roofing and ‘paduru’ (traditional woven mat) ceiling. Imagine waking up to the sound of leaves rustling in a silent whisper and as you perch on the earth of the bordering lagoon, the soft breeze gently sweeping across unravelling the blissful surroundings, revealing its sheer power to ease both mind and body. This is a reality when you dwell in the resort of Aarya, hidden in the untouched interiors of Kalpitiya amidst ten acre coconut cultivation. Aarya offers the ultimate getaway for those who yearn for seclusion, tranquillity, adventure and hospitality in a truly natural setting. We are delighted to serve you from the moment we welcome you at the Resort to the point we bid you goodbye. Your memorable stay at Aarya Lagoon begins at our foyer when we quench your thirst with ‘kurumba’ water (green coloured young coconut) followed by a ‘bullock cart’ ride to the main resort. It is our prime objective to make your vacation an enchanting experience by introducing you to a myriad of activities in and around the resort that will raise your spirits.